Discussion in 'Progress/Execution Threads' started by ygtrhos, May 9, 2018. Hello everyone and welcome to my thread! I have read TMF about 1.5 year ago, when I was done with my PhD. Since then, I have been trying to find a job and create an income source, so that I can finance a side hustle. It was a very hard year behind me, but it is over, no need to complain about past. I am going to record my progress in some detail in this thread. I hope to get feedback or suggestions from you guys as well. - I have a dayjob, where I am quite underworked. I am just basically doing work for 15 hours a week and just diddling around in the rest. It might change later, but that is how it is. All in all, I have a lot of time under my hands. - I also have 9k€ in the bank and 2.75k€ salary. I am single and I can save about a half of it, although I usually save 1.25k€. I like to enjoy a sushi buffet or an occasional weekend trip to Eastern Europe every now and then. @biophase and other people e-commerce experience, I changed my mind to an FBA business. I have been listening to Scott Voelkner (The Amazing Seller) and basically getting my hands on any resource I can find about FBAing. I have even found some Turkish guys doing FBA in USA! At the beginning, I would like to put about 4k€ into FBA. I want to start in Amazon USA due to the experiences of the people starting in Europe. The volume in USA is huge, so I would like to concentrate on that market. I am using Start Here – The Amazing Seller this as my primary resource, as it is the most recent (one year old) resource I could get my hands on and it seems quite well-structured. NoshS, Gold7 and Xeon like this. Stuff like this or simple tools like scissors, shovels, wrenches or hammers are always like this. Try 'snow shovel' for example. I used keywords instead of product names because the same product can be found with different keywords. You can use 'coffee maker' instead of french press for the same product too. But a keyword is specific. - Improvable Product. There is a reason why there are only 2 listings with 5 stars. The material choice of most products are bad and it causes corrosion. - Competitive market with established sellers. Check the number of reviews. - Not a lot of established sellers, it seems like I can beat my way to the top. - A bundle product. I have to find many suppliers and I have to find a forwarder that bundles for me. - According to the data, I can easily get into the top 10. - I have to make a brand new design, I cannot copycat due to patent issues. I am very thrilled by this product. It is some part of some other product (like dust bag for vacuum cleaners) that gets broken easily. Very similar product to Keyword 5. Same ups and downs for this as well. - I can imagine that there is a big profit margin for this product. Dre2001, Xeon and Ankerstein17 like this. I would also love to hear any other feedback or suggestions. Thanks! Xeon and ygtrhos like this. Good luck it is a hell of a tough field to play but so worth it if you can get it right! As Scott says the most important thing is to TAKE ACTION ^_~. I only have a 1:10 success rate of launched products making any sort of good lasting profit after PPC and all fees and shipping. So just keep going! It’s almost impossible to tell what is going to sell well or not and be profitable after PPC despite all the numbers. Send in small batches (10 units) at first to test for sales and interest then scale. Don’t go all in on a product if you are not profitable after first review. Xeon, R. Bonat and ygtrhos like this. Xeon, sparechange and ygtrhos like this. @ygtrhos I admire the way you have been thorough in your research, but unfortunately I am going to rain on your parade. Jungle Scout mostly helps you follow trends and choose hot selling products, and this results in you immediately encountering considerable competition with the frequent result being a price war. Product Sourcing based on the program you quoted (The Amazing Seller) could lead you into risky territory. Jan 16, 2015 #261 for a detailed examination of the very faulty scheme called Trade Assurance. That post is the first of 13 I have made on the subject, but the scheme has been changed many times since I posted that one. There were 3 changes in 2017 and another already this year. I am in the process of writing about the new rules for my 2018 revision of my safe sourcing and importing book due out in about 6 weeks. for the truth about Gold Suppliers. They also encourage you to use agents for your sourcing, See my AMA also on that subject. You might continue to rely on The Amazing Seller, but you need to look further than just rely on people who clearly don't know what they are talking about. Smuggo, Xeon, jpanarra and 4 others like this. First of all, thank you very much to all of you! I really appreciate all feedback written here! Jungle Scout mostly helps you follow trends and choose hot selling products, and this results in you immediately encountering considerable competition with the frequent result being a price war. Jungle Scout mostly helps you follow trends and choose hot selling products, and this results in you immediately encountering considerable competition with the frequent result being a price war. Thank you very much! I appreciate the feedback a lot. I have not reached the point of product sourcing yet, currently I am considering firstly which product to choose. I have ordered a sample over aliexpress, but I have not really specified which manufacturer I will take. - So what is your pick on product choice? I have several ideas and JS is how I validate if there is really a market for it or not, and if I can really make it through the competition. 8 out of 10 people I ask tell me what I am doing wrong, but I have no idea what is right in their opinion. Why do you avoid his product criteria? And what do you think how a product is to be chosen? The jungle scout numbers are NOT specific to that single keyword, but for all keywords the product is ranking/selling for. I found a few with opportunity scores of 8 that were doing massive amounts of volume, but it turns out that the keyword I put in was not the "real" keyword where all the sales/volume were coming from. That one had and a score of 3. I am the furthest thing from an AMZ expert, but something to keep in mind. Why do i avoid it? That's the exact criteria everyone is using. His audience is massive and they are all looking for the same thing. Gunther Herzog and ygtrhos like this. Currently, I have found some replacement part of some popular product. Something like the dust bag of a popular vacuum cleaner for example. Costs about 12$. I can find it for 1-2$ a piece. It has no sellers in Germany and a few sellers in USA, but it is a very simple, generic thing. I have ordered 1-2 samples from aliexpress already, I am going to try the quality and make a test order of 100-200 pcs, once I find a good supplier. It is Keyword 4 by the way. Something that I use 3-4 times a week and I have a problem of finding in Internet. I am not doing that. I would have loved to bring that stainless steel French press, but it is just not viable. There is little to improve in that, it would be a "me too" product. I would only do that if I really can change the design of the product. Everyone using the same software, everyone wants to rank on the first page, everyone almost using the same strategy. Everyone sale on Amazon now... this is a losing game for sure, the only way to win is to creat your own products period. And the only big winners are the creators( amazon, jungle scout, etc ) creat something. According to what you say, creating my own products would also not help, because 'the only winners' are Amazon and Jungescout. Creating your own unique product will definitely help.. finding product that already exist, and thinking better pics or listing or bundling is going to make you Rich no it won’t. Dre2001 and ygtrhos like this. Yes, otherwise creating physical products make absolutely no sense. I have already ordered two samples from alibaba for my product. The set I ordered costs 6$ for on aliexpress for three pieces, and the only seller in Amazon Germany takes 15€ for one piece as of now. I am also looking for another supplier on alibaba. I found one, but she does not seem to speak proper English or really read my questions. Quite annoying. I guess I will look for another supplier. I'm not a seller on Amazon... but I would like to comment on this. You mention, its hard to know what is profitable after PPC. If you are already selling on Amazon... and are looking for new products to launch... Don't you have access to the PPC advertising platform, and you can identify what your cost of customer acquisition is? So you know how much you would be spending on a keyword? I understand that, if you bid on a keyword, and the person sees your posting... they still might not buy. However, it is an average. Like I said, I am not a seller on Amazon, but I think it's an important number to budget for when you are starting something new. Ask yourself, what is the cost of your customer acquisition. Xeon, ygtrhos and sparechange like this. To tell you the truth, I do not have access. All I know is that there are sellers that sell the same product (an unboxed way) at a slightly lower price than me. I want to make a better listing and box the item so that I can sell it for %20 more. The listings of them are also not top notch. But I am close to finding a supplier. Btw, I have also made about 200€ by flipping some electronic retail deals on Amazon and it is definitely an experience until now! Hey Great to hear you are having some success flipping electronics! Depending on what your is, ask yourself this.... "will my customer care if this product comes in a box?" If the answer is no, then maybe consider competing in another manner. The reason why I say this is because, for some items myself... I don't really care if it's in a box or not. As long as I get the item and it's in good shape, I am a happy customer. Find ways to compete, and remember people only become brand promoters after interacting with your product. That means they have to buy it first, unbox it and have a pleasant experience. Which leads to more repeat customers and lowers your cost of acquiring a customer over time. Just remember what specific area of your business your trying to improve, and how you do that. It is a bit difficult to guess something like that. But I have to differentiate somehow and the item is a quite simple item. So packing it well would improve the quality of the listing itself and would differentiate me into a different class. This is a good example. 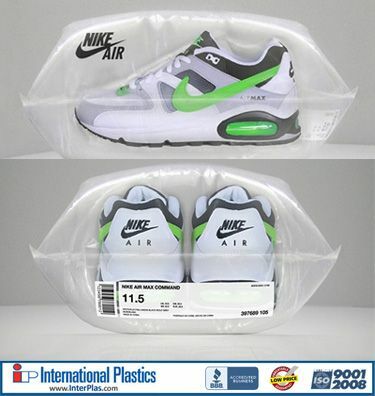 In the end, nobody buys a sneakers for the sake of its box, but it differentiates the product, don`t you think? I have found some suppliers, that would produce for me with %30-35 of the end price. Fingers crossed, let`s see if I can seal the deal. Any update? How is JS working out for you regarding sales numbers etc.? I did not understand your question, what do you mean "how it is working out?"? I have written about 20 suppliers each. Total manufacturing costs are about 10-11$. Shipping would cost another 4$ for air and 1.7$ for sea shipping. Product 4 is offered by other sellers at 20-25$. I am thinking of offering the whole bundle for that price and getting some rank. But I do not want to get too much ahead of myself, I want to get the order for the main product in and figure out the bundle product on the side. I expect to be online in October. Sorry for no updates. I do every day something about this, devoting 20 hrs a week. But it is usually data collecting and nothing worth of reporting.